Most TV and movie fans will attest to Samsung’s strong reputation for creating great television sets. In the era of high definition flat screens powered by environmentally sustainable means, Samsung continues to better their own records and keep one toe in front of their peers. The 2014 Samsung UN28H4500 28-Inch 720p 60Hz Smart LED TV continues this above average tradition. Perfectly poised to please their most enduring movie and TV fans, this Samsung’s LED screen and picture quality has no flaws, grey areas or dark spots. Picture images are lively, and because this is a small screen, the vividness of the images are all the more pleasing. As a small set, this is perfect for the bedroom where the screen can be mounted neatly on the wall and night time watchers can enjoy their favorite show from the bed and without any restraint. The LED screen is technically perfect. Like its LCD counterpart, the screen’s back lighting is astutely in place ensuring that no dark or greying spots infringe upon the visual presentation. It is ideal for regular channel-hopping insomniacs who can take delight in the way the screen merely slides into the next frame when the remote has been tapped. A welcome addition to the intimacy of the 28-inch screen is the Auto Volume. As its name says, the set adjusts its volume the moment the next channel is selected. This allows for instantaneous adjustment to the following network’s own sound output. When signal modulation is too high, the Auto Volume controls this and lowers the sound frequency. Likewise when the signal is reversed. This is a perfect bed warmer. The automatic feature can also be set to normal, night or even off. So, some late night watchers can relax and drift into a slumber with the peace of mind that this set will politely be silent after a period of inattention. It’s called in box technology. And it’s been packaged very well in this Samsung smart box. This Smart HD TV has a fully functional web browser to accompany the built-in TV apps. Conveniently, this browser comes with Wi-Fi. The list is extensive, but some of the apps include the traditional mix of Hulu Plus, YouTube, Twitter and Facebook. It also depends on how efficient users are with adapting their own screen set. At a glance, the screen shows up to 40 available apps. But according to Samsung’s website, a phenomenal tally of one thousand can be sought. 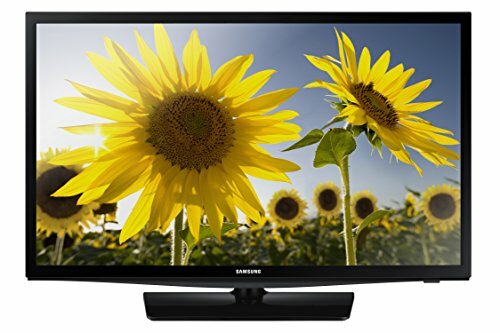 Samsung UN40J6200 Review – Very nice and a clear picture!